The facelifted first-generation BMW 4 Series, first revealed at the Geneva motor show earlier this year, is set for UK deliveries in April with prices starting at £32,580 - £735 more than the old model. It means the updated BMW's starting price is higher than those of its closest rivals, with the Audi A5 starting at £30,700 and the Mercedes-Benz C-Class range opening at £28,295. 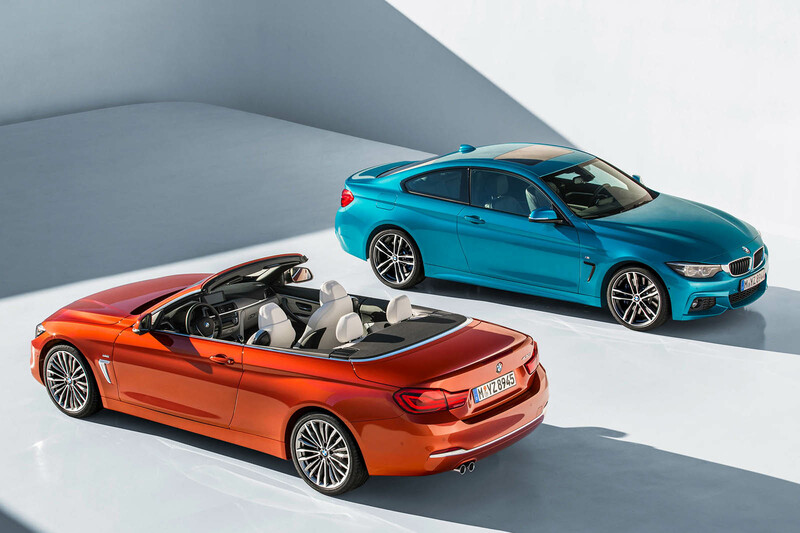 The new 4 Series line-up, which encompasses the two-door coupé and Convertible, which starts from £37,630, and the four-door Gran Coupé, also priced from £32,580, receives a mildly altered front end, with lightly restyled air ducts in the lower bumper featuring on both the standard Luxury and higher-spec M-Sport variants. The facelifted BMW 4 Series has improved on an already solid proposition but can it hold off the likes of the latest generation Audi A5 and Mercedes-Benz C-Class Coupé? Further changes have been made to the headlights, which retain the same shape as before but receive a new internal graphic similar to that seen on the 2012 Concept 4 Series, with LEDs for both low and high beam together with an optional adaptive LED function. At the rear, the model also adopts styling tweaks to the lights and bumper, mimicking the changes to the front end. The new BMW also receives revised 18in and 19in alloy wheels and two new exterior colours: Snapper Rocks Blue and Sunset Orange. The changes inside are every bit as subtle as those made to the exterior. 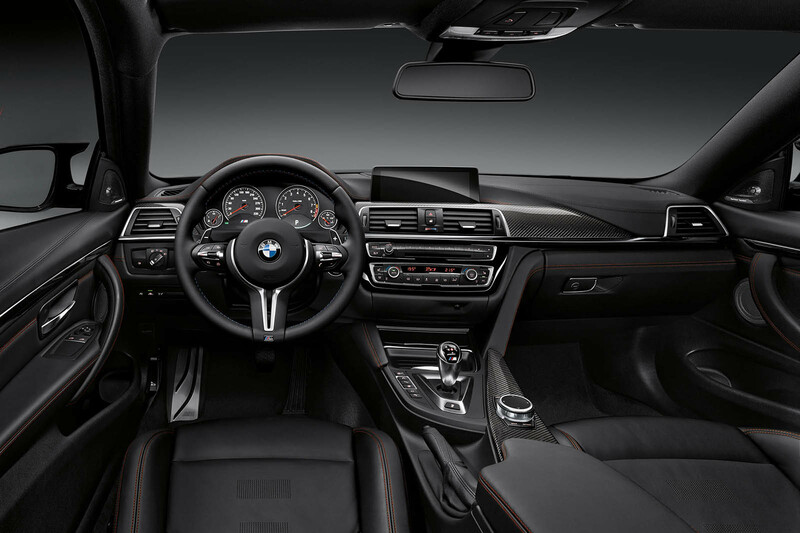 Included are a newly designed steering wheel and electroplated aluminium and chrome trim elements as well as high-gloss black panels and the choice of a number of different dashboard trim finishes, all mirroring the chances already brought to the 3 Series in 2016. BMW has also updated the navigation system for the 4 Series, with the top-of-the-line Professional unit receiving a new interface with six tile-like icons, as seen on the latest 5 Series. Having already received updated petrol and diesel engines as part of a running change last year, the 4 Series continues into the latter half of its planned seven-year model cycle without any significant drivetrain revisions. Included in the new line-up is a turbocharged 2.0-litre four-cylinder petrol unit delivering 181bhp in the 420i and 248bhp in the 430i. It is accompanied by a turbocharged 3.0-litre in-line six-cylinder engine, which produces 321bhp in the 440i. There is also a choice of three diesel engines: a turbocharged 2.0-litre four-cylinder offering 187bhp in the 420d and 221bhp in the 425d, as well as a turbocharged 3.0-litre in-line six-cylinder with 254bhp in the 430d and 309bhp in the four-wheel-drive 435d xDrive. The 4-Series Gran Coupé can also be ordered with the turbocharged 2.0-litre four-cylinder diesel engine developing 148bhp in the 418d. The most economical of the line-up is the 420d, which returns a claimed 70.6mpg combined, with average CO2 emissions of 106g/km. Depending on the engine, the 4 Series can be specified with the choice of either a six-speed manual or eight-speed torque converter-equipped automatic gearbox. Selected models can also be ordered with xDrive four-wheel drive in place of standard rear-wheel drive. Heading the new 4cSeries line-up is a reworked M4, which is sold in both coupé and Convertible bodystyles. Mirroring the changes brought to standard 4 Series models, it receives freshened LED headlights and tail-lights together with a number of subtle interior upgrades. Power for the M4 coupé and Convertible continues to hail from BMW M division’s twin-turbocharged 3.0-litre in-line six-cylinder engine, developing 425bhp in standard guise and 444bhp in combination with an optional Competition Package. 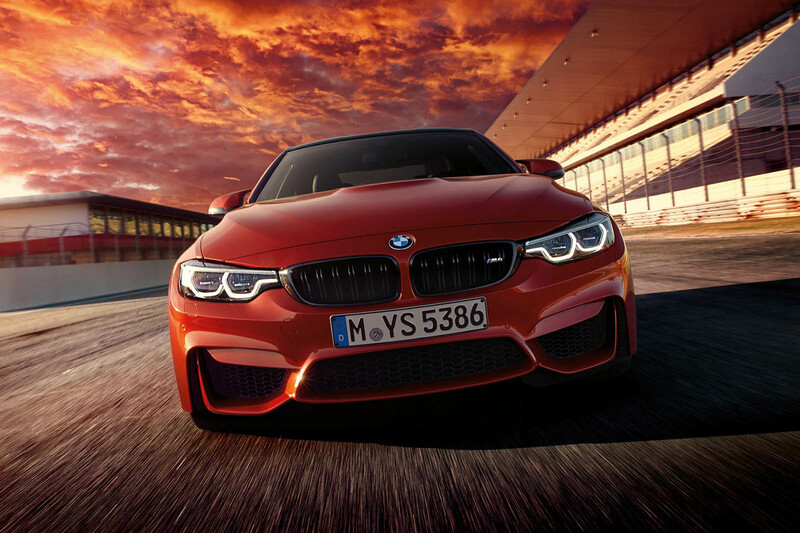 Prices for the M4 coupé start at £57,817, rising to £61,910 for the M4 Convertible. The Competition Pack versions of those models are priced from £60,815 and £64,110 respectively. Since its introduction to the BMW line-up in 2013, the three-model-strong 4 Series has garnered more than 400,000 sales worldwide as a successor to the earlier 3-Series Coupe and Convertible. ..reformat the press pack and a BMW article appears! Cars like this should turn heads and make people want them. The fact that they don't perhaps explains why SUVs are selling by the bucket load. What happened to exciting cars like the Lancia Fulvia or the Rover SD1? I know they had their problems but when did styling go so bland? So, are you saying that SUVs turn heads? More to the point, I doubt many people in the market for sporty coupes would be looking at SUVs as alternatives. Besides the 4-series (which looks pretty good, imo) sells very well, certainly more so that the Fulvia and SD1 ever did. The reality is that the world and therefore the market have changed since the days of the Fulvia and SD1. Many manufacturers did not make SUVs and those that were made drove barely better than tractors. If I needed the space I'd take an estate over an SUV any day, but tastes have changed and many other people just feel differently....sadly. Oooh it looks... just like the last one. So apart from being a load of free advertising for BMW, the point of this article was what exactly? Facelift or not, there is nothing enticing or desirable about the way the 4 Series looks inside or out that would want to make you buy one. It's just so dull, especially the unexciting and sobre looking interior. And the same goes for the A5 and C Class Coupe. While its looks are polarizing, at least the Lexus RC is exciting to look at and desirable. Its not just about styling though,driving is the thing,especially steering feel and handling,a reason I would drive another Audi. The red dakota leather is available to brighten the interior! I meant "would NOT drive another Audi"
The interior could do with some differentiation from the 3 series, but that's about it for me.